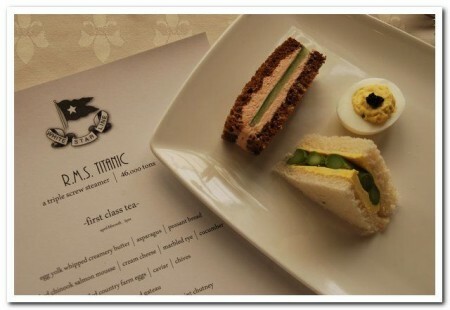 » Blog Archive » A Night to Remember – Titanic! 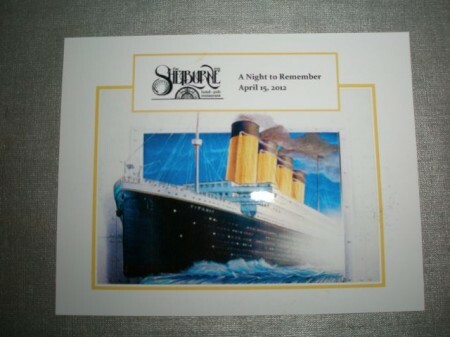 A Night to Remember – Titanic! 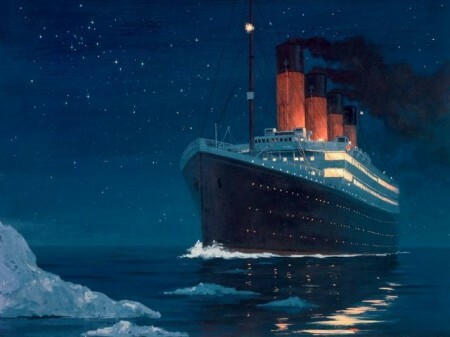 Categories: Everything!, travels here Comments Off on A Night to Remember – Titanic! 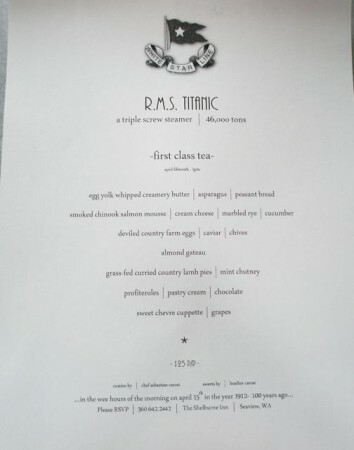 In the spirit of the 100th anniversary of the Titanic tragedy, the Shelburne Inn hosted a Titanic tea and dinner. 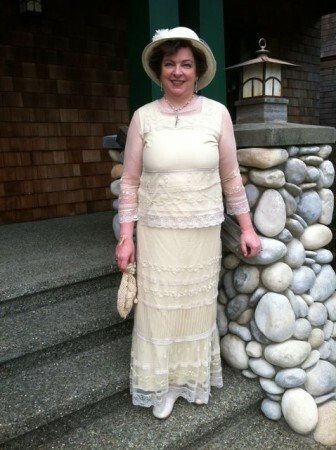 I dressed in a period appropriate tea dress, of course. 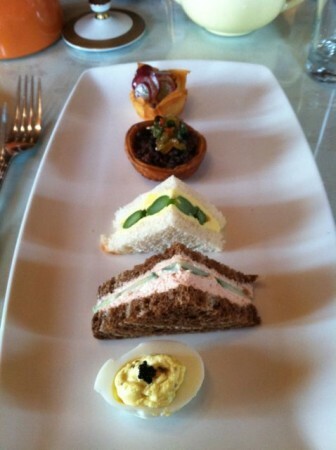 The tea sandwiches were both beautiful and delicious. 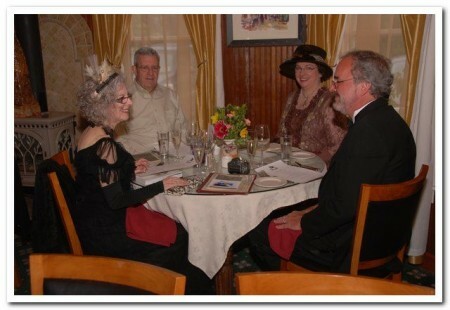 Laurie had researched what was served on the Titanic, so we were eating authentic cuisine! 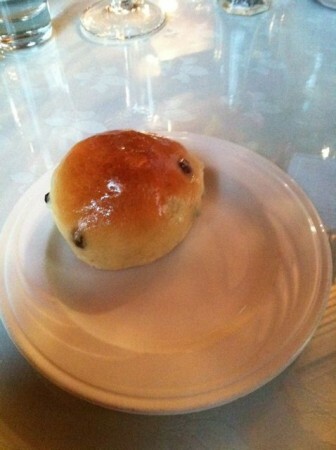 Laurie is a wonderful baker, and her currant scones were fabulous! 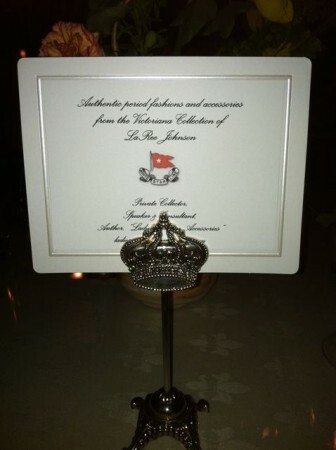 As we arrived for dinner, we were given our boarding cards. Of course I had changed. A proper lady wouldn’t wear the same outfit to tea AND dinner! 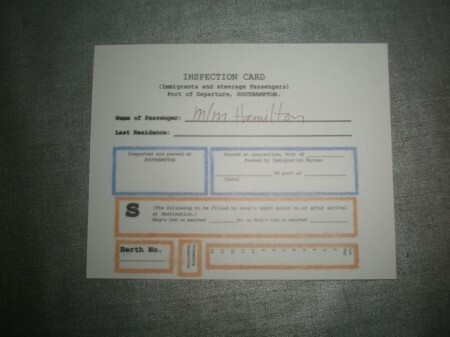 Bob and I both passed inspection. Whew! 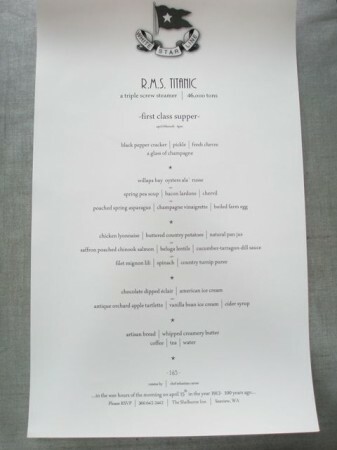 We had lovely printed menus. We were joined by LaRee and Andy. 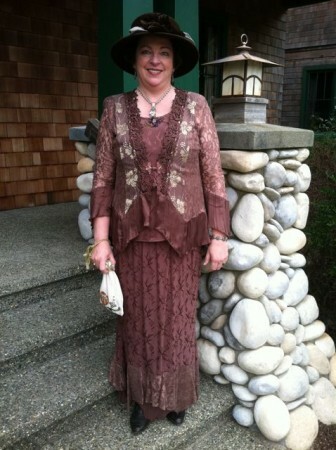 LaRee has a fabulous vintage clothing collection, and her ensemble is from the period–including the corset! 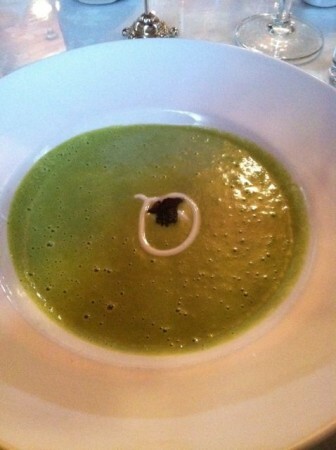 I had the spring pea soup with bacon lardons and chervil. 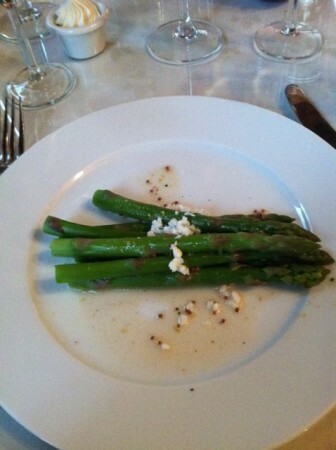 Bob had poached spring asparagus with champagne vinaigrette. 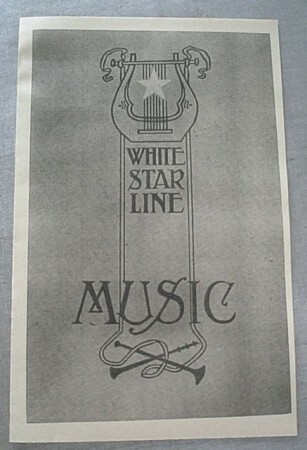 Our pianist, Jennifer, had researched the music and gave us a program of fifty songs that were played onboard. 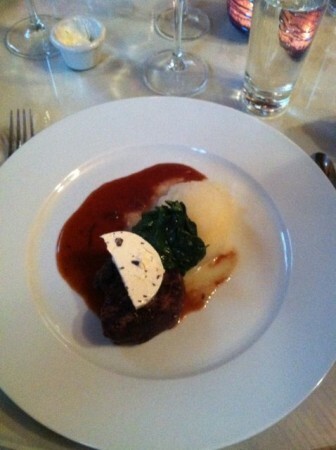 Everyone at our table had the filet mignon lili with spinach and country turnip puree. LaRee did a presentation about the clothing styles of the era. 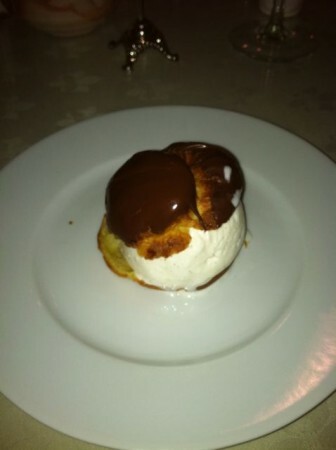 For dessert, I chose a chocolate dipped eclair with American ice cream. 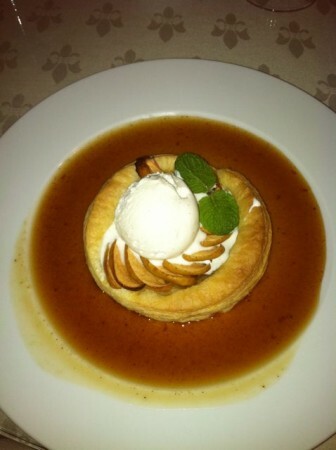 Bob chose the antique orchard apple tartlet with vanilla bean ice cream and cider syrup. 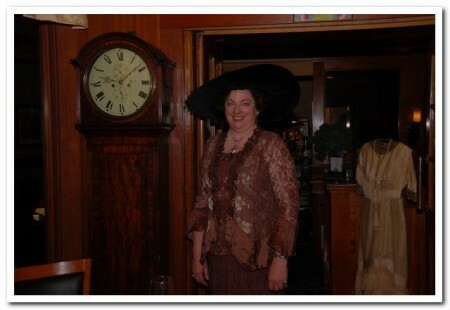 Before leaving, I just had to try on one of LaRee’s vintage hats. This one has a 37″ brim. I think I could pull it off! It was a fun, fabulous and scrumptious day!